The Cortland County Family YMCA offers a number of fitness classes, ALL of which are free to members. Our well-trained instructors can help you to get into shape, be fit, and to have fun! For more information, please contact us at 607-756-2893 or stop in! 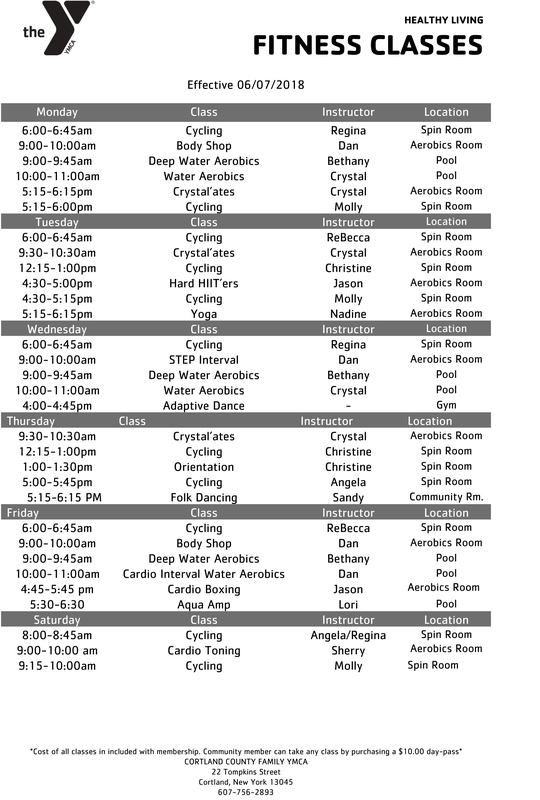 You can also download a copy of the current schedule Fitness Schedule (PDF Format).